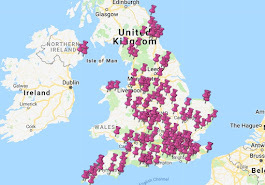 I have now been to 149 National Trust properties. I've seen houses built from the profits of cotton, sugar, coal, banking, shipping, guns, and marriage but Tyntesfield (pronounced Tintsfield) near Bristol is the first place I have visited that was funded by bird poo. 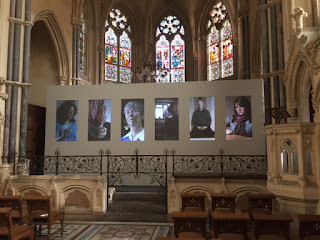 The chapel is based on La Sainte Chapelle, a medieval royal chapel on the Île de la Cité in Paris. 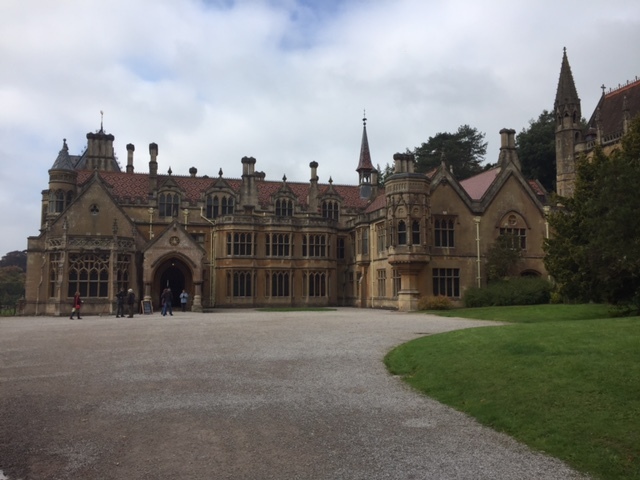 It had not been part of the original plan for Tyntesfield and was added a decade later, in 1875, by architect Arthur Blomfield. He managed to build it on sloping ground so that the family could access it from the first floor of the house. William was very religious. He was a Tractarian; in 1833, the Reverend John Keble had created the Oxford Movement, which called for a reform of the Church of England and a return to its Catholic roots. Supporters of the Oxford Movement were called Tractarians and they included William Gladstone as well as William and his wife, Blanche. I'm now going to make myself sound like a right philistine by admitting that I was really disappointed not to see the chapel in its entirety. 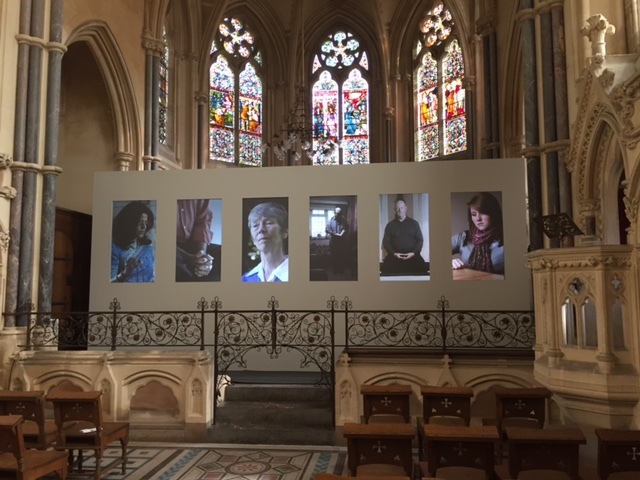 There's an art installation in there at the moment - it think it features people from different faiths praying - and it's enormous, covering up the whole altar. It's only there for two months, so we were just a bit unlucky with our timing, but it was really disappointing. And I hate myself for saying that, because I'm generally all for art installations at the NT - read about my love for the Singing Tree at Biddulph. 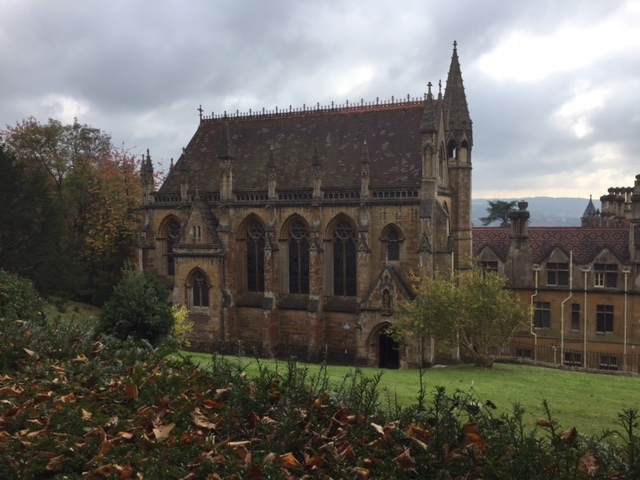 I'm just not sure I'd have covered up one of the most important parts of the property - even the guide book says that the altar is the focal point of the chapel, so why obstruct it? Anyway. 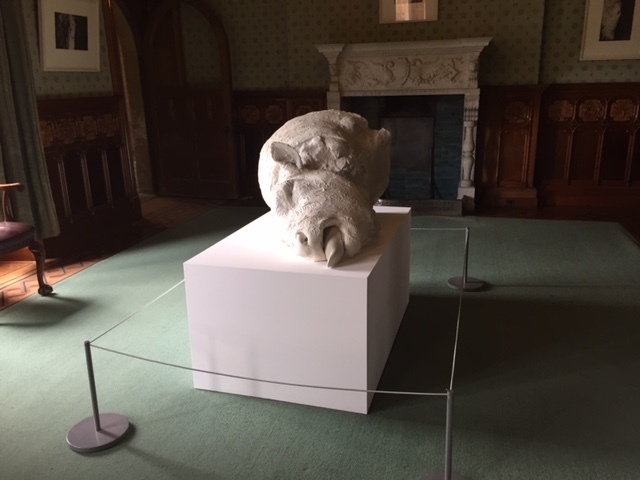 The same artist also has other pieces on display in the house itself. I have zero shame in saying that I thought they were horrible - a huge cast of a dead cow's head and two dead lambs would make most people feel uncomfortable. And they're supposed to do that - the website explains that they "will trigger us to consider mankind's complex relationship with breeding" - and I have no issue with that at all, but don't expect me to go home thinking it was lovely. 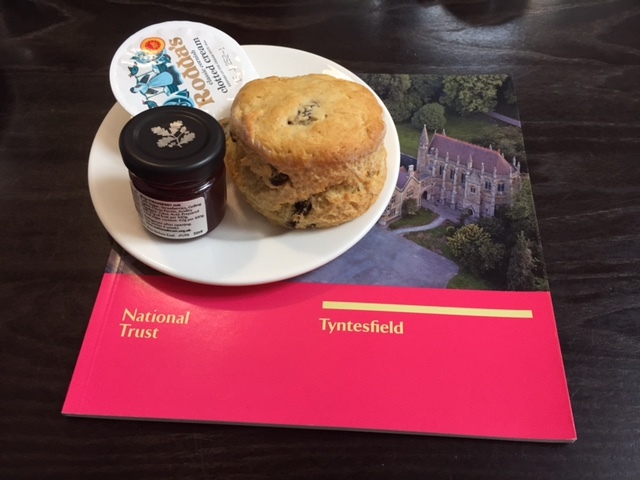 The art isn't the only thing at Tyntesfield that is challenging - the tea room is one of the most stressful places I have been to in a long time. I hasten to add that we were there at 1pm on a Saturday when they were having a Hallowe'en event, so I'm not complaining. I think the main issue is the building itself - there are limitations on what they can do with it and space isn't used very effectively. But kudos to the mainly young staff - they were efficient and friendly and unflappable. The scone looked fantastic and it was fresh and tasty - a definite 5 out of 5. I'm going to end with Marketing Idea for the National Trust Number 3,231. 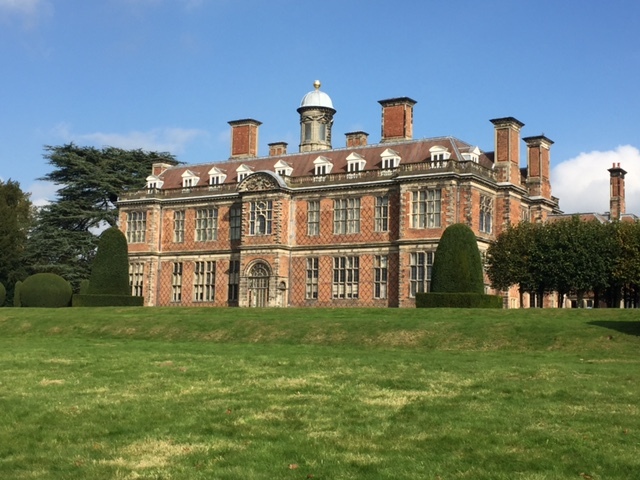 For the first time, I was struck by how all of the NT properties fit together - so William Gibbs was commissioning work at Tyntesfield in 1863, the exact same year that William Armstrong was buying land near Newcastle to build Cragside. A book explaining the chain of events and similarities/differences would be great. Or maybe just a big jigsaw. I'd buy it anyway. 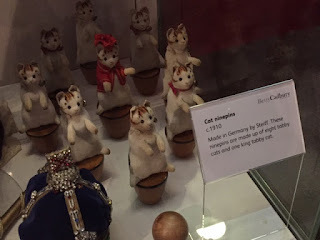 I don't know what I was expecting from Sudbury Hall and the National Trust Museum of Childhood in Derbyshire. 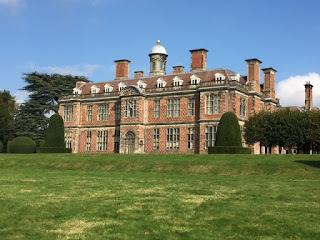 I think I was expecting it to be the National Trust Museum of MY childhood, which would basically be the set of Saturday Superstore with Enid Blyton as the presenter and a cartoon sausage on a fork appearing out of nowhere every few minutes. 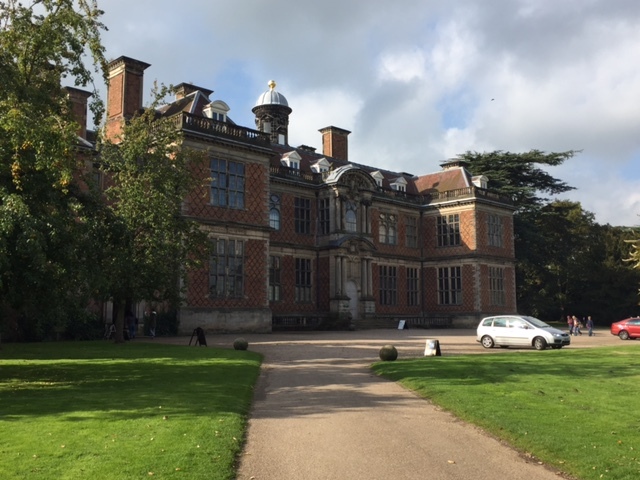 Sudbury Hall and the Museum of Childhood are in the same building, but they are separate entities so you can visit one or the other as you prefer. We started off in the Museum. It begins with a really good replica of a chimney that little kids can actually climb into to see what life might have been like for them 170 years ago - quite handy if your offspring ever need reminding that a broken iPad is not the worst thing that ever happened to any child ever. HOWEVER. I knew - I just knew - that there would be SOMETHING unexpected in that museum that would stop me dead in my tracks and throw me back to my younger days. And here it is. It wasn't Grange Hill, or Claire and Friends singing 'It's 'Orrible Being In Love When You're 8 and Half' in Search for a Superstar, - it was this orange Sindy bathroom suite, which I hadn't seen for at least 35 years. I can't recall which of my friends it belonged to, but I remembered every single bit of it, from the little white taps to the brown bath mat. 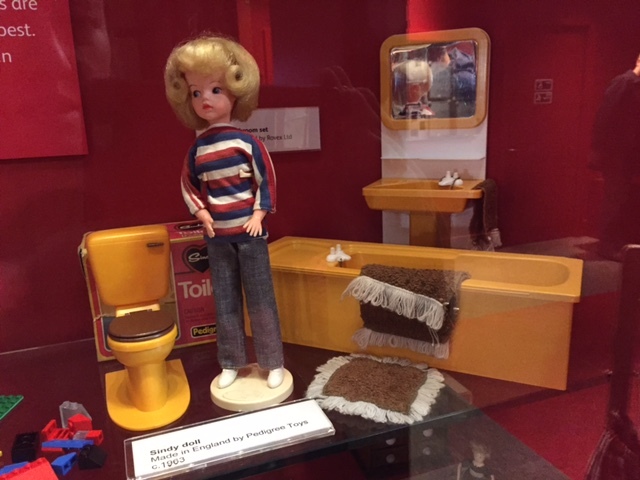 I take my hat off to whoever got Sindy's hair into this Betty Draper do though - I remember her barnet just sticking up in the air and being impossible. In the Long Gallery there are a number of portraits, including these two. 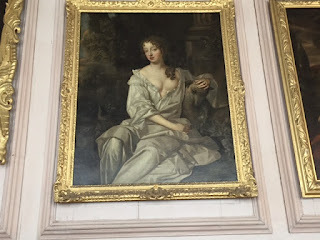 The first is Nell Gwyn, mistress of Charles II. 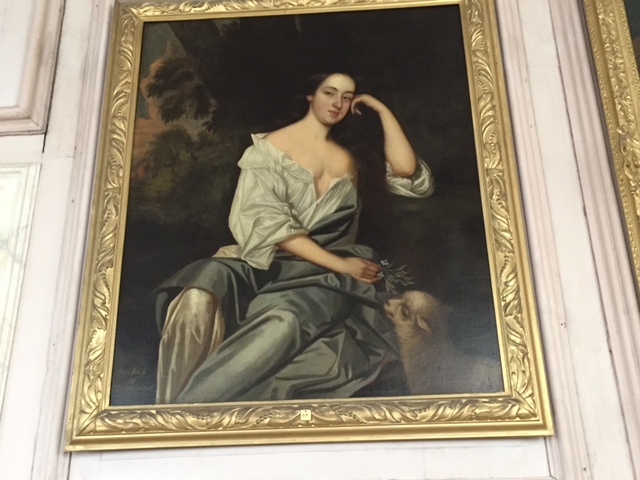 The second is Barbara Villiers, mistress of Charles II. Do you get the feeling that he had a thing for shepherdesses whose clothes kept falling off? Anyway, let's move on to more important matters. It took us a while to get to Sudbury today and we were both REALLY looking forward to our scones. 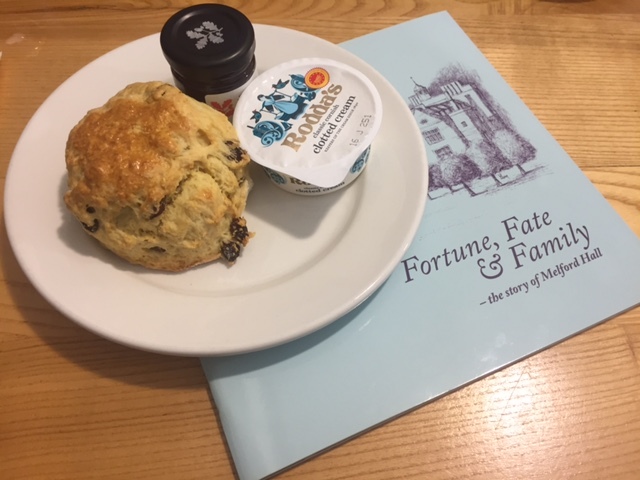 I spotted a pile of them sitting on the counter as I walked past the tea room window - I think I may have broken into an actual sprint at that point. 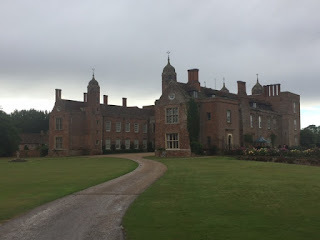 We were rewarded though, because the Sudbury Hall scone was fantastic. It looked perfect, it felt a tiny bit warm, and it was light and delicious. It even looked happy to see me. 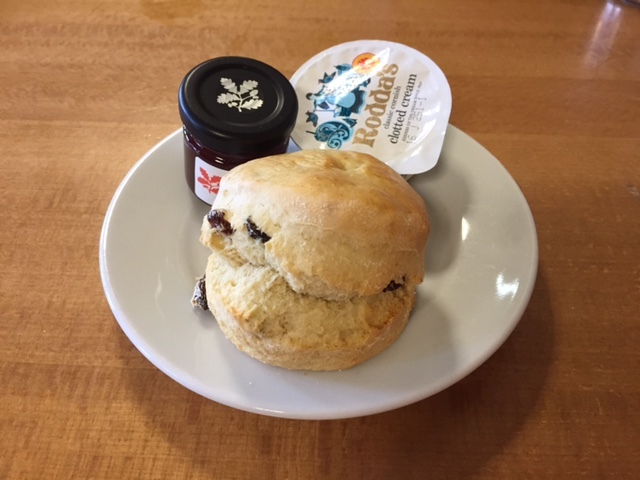 Definitely one of the best NT scones ever. 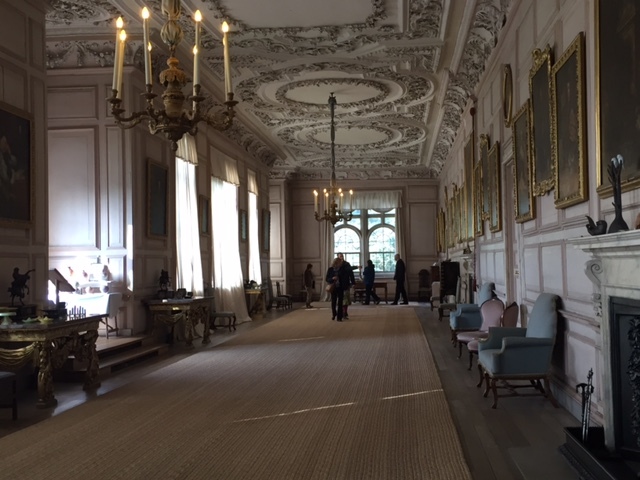 I absolutely love watching National Trust room guides interact with the British public. At one extreme you have the room guide that sits in a dark corner and doesn't say a word, and none of the visitors ask them anything, because we're British. Occasionally a German visitor will walk in and say "What is this?" 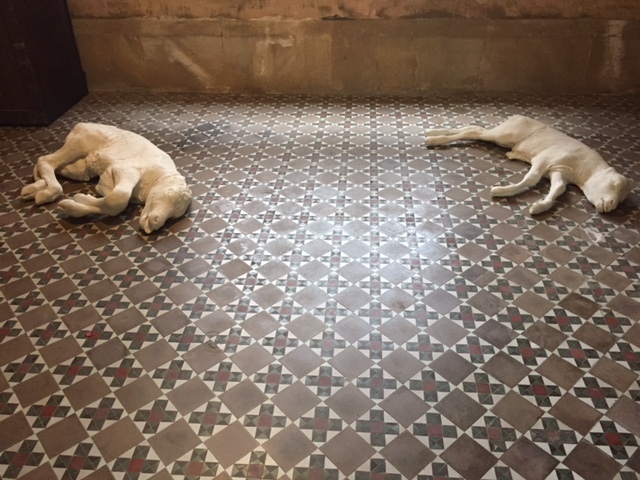 and the room guide jumps a mile. 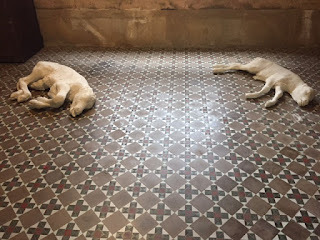 At the other extreme is the room guide that talks without drawing a breath - I hasten to add that I now know EXACTLY why they do this: they have a mortal dread of the Expert Visitor. We've all seen them - the architectural expert or professional historian that knows more than the guide and spends the whole time tutting and saying "well, that's not EXACTLY right - the horse that threw him in 1532 was actually called Archibald, because his other horse, Geoffrey, was lame that day" until everybody just wants to shove Expert Visitor out of a top floor window. 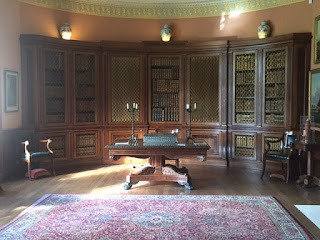 But the best room guides are the ones that don't wait to be asked questions and don't fear the know-it-all visitor - they just go for it. And that's exactly what the room guides at Melford Hall did today. They were ALL brilliant - really enthusiastic and happy to show off the property. I wanted to take a quick picture of the library door and the guide walked the full length of the room to shut it for me, so it looked its best - I know this doesn't sound like much, but it really helps to make you feel welcome. 1. The Hyde Parkers still live there! it's the third panel from the left. William was succeeded by his brother, Hyde, who also had an interesting naval career; during the bombardment of Copenhagen he gave the signal to withdraw, but his second in command - one Horatio Nelson - lifted his telescope to his blind eye and said "I really do not see the signal" and continued until the Danish surrendered. I doubt that Hyde was very pleased about this. 2. 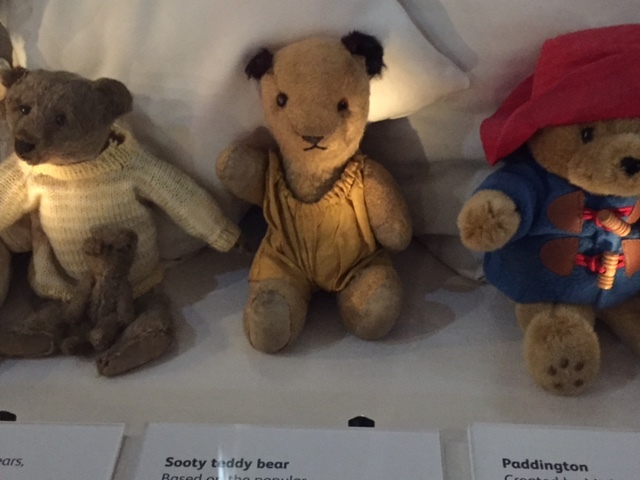 Beatrix Potter was a regular visitor! 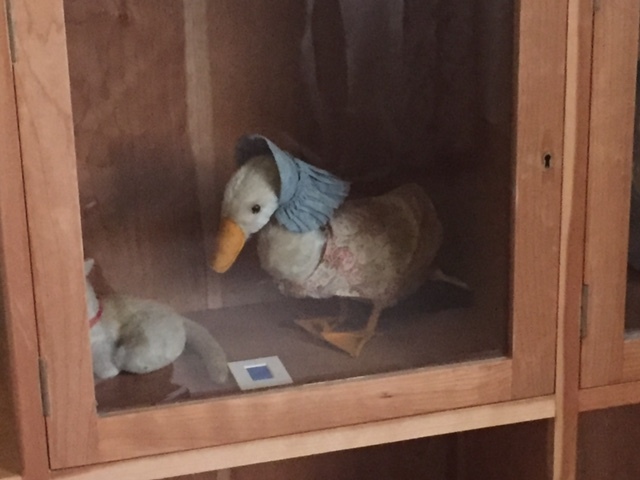 She gave them the duck that had inspired Jemima Puddleduck, and it is still at Melford today! I commented on how new she looked and the guide said "well, she had to go to be restuffed last year". It's sad that in today's society even toy stars have to have 'work' done to stay young-looking. Or maybe she had a drug problem? Who knows with these celebrities. Jemima Puddleduck: ask her to wrinkle her forehead. She can't. 3. The Cordells built the place! 4. 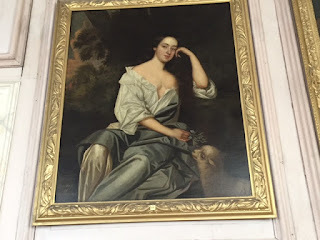 The Savages inherited in 1602, then it went back to the Cordells! 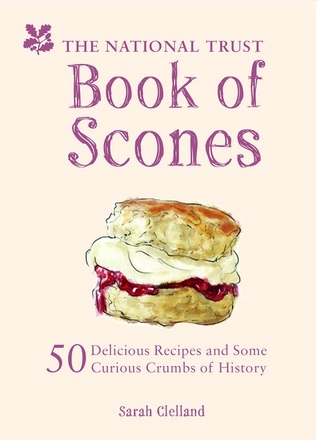 But let's move on to the all-important scone. I think I've been letting the Scone Sidekick watch too much reality TV; today when I asked him for his scone verdict he looked very serious but then said "the best scone I've had in a long time" in the same tone of voice I would expect him to use when sending somebody to the gallows. But he was right - it was a fantastic scone. Fresh as a daisy, superb texture, and great taste. Great job, Melford. I'll end with this, the winner of Creepiest Thing I Have Ever Seen at the NT. 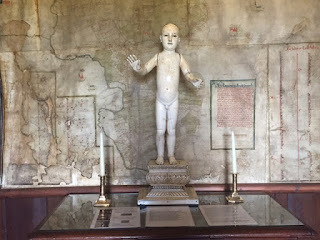 I'm still not sure exactly what it is or what it's for, but it was acquired by Sir Harry Parker's dad after he captured a Spanish galleon full of gold and porcelain in 1762. This was one of the things he was allowed to keep. I'd have been locking my bedroom door at night, personally.